BlueRidgeBookworm | Titles discussed in this blog are available at noteBooks, 117 S Locust St., Floyd, Virginia. Support Floyd’s locally owned businesses! The Girl With the Dragon Tattoo is the first novel in the Millenium Trilogy written by Stieg Larsson, published after his death in 2004. Larsson was a Swedish journalist, photographer and political activist. His fiction writing was mostly a hobby done after he got home from work in the evenings. It appears that originally Larsson intended for the series to contain ten books and along with the three completed manuscripts found, there was also an unfinished fourth manuscript as well as synopses for the fifth and sixth books. The books were immediate successes in Sweden and after the first was translated, he was posthumously named International Author of the Year in 2008. 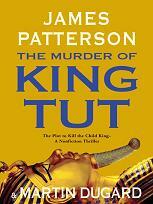 I don’t read a lot of murder mysteries but this one was recommended to me and I really enjoyed it. It took a day or two to get into it, but after the first couple chapters I was hooked and couldn’t put it down. The whodunnit is essentially a “closed room” murder mystery, meaning that all the people who may have participated in the crime were contained within an area resulting in a definite list of suspects. In the book the murder took place on an island while the only bridge to and from the island was closed off because of a traffic accident. 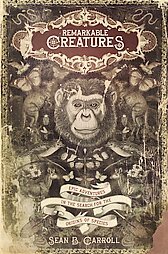 The aging patriarch of the wealthy Vanger family that inhabits the island becomes obsessed with the disappearance of his teenage cousin. He is convinced she was murdered by someone on the island, possibly a family member, on that day in 1966 and that the murderer has been tormenting him for the past 35 years by sending him a pressed, framed flower every year on his birthday. Vanger hires a journalist, Mikael Blomkvist, to help him try to put the pieces together. But Blomkvist has his own problems. He has recently been convicted of libel and is facing public humiliation and a jail sentence. 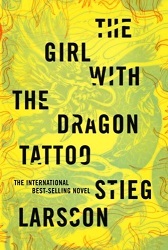 Lisbeth Salander, a reclusive punk computer hacker prodigy with a personal vendetta also finds her way onto the case and together they uncover secrets and corruption decades old. The novel is exceptionally good because the clues and details are meticulously arranged so that the reader can theorize along with the investigators. The suspects are all complex characters who have been intricately developed and woven into the story. The solution to the puzzle is neither glaringly obvious nor too far-fetched. It was extremely well-written and I’m looking forward to reading the other two books in the trilogy. The second book, The Girl Who Played With Fire is currently available and the third book, The Girl Who Kicked the Hornets’ Nest has been translated into English and is due to be released in the U.S. in May. Kudos to the translator, Reg Keeland, too. Other than the tongue-twister names of Swedish towns and streets the translation was really smooth. It’s been a while since I’ve read a book that I would give an A+, but I enthusiastically and without any reservation can give Olive Kitteridge that grade. 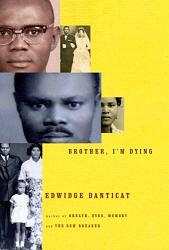 It is an exceptional, award-winning book that I would recommend for even the most critical reader. The book is a collection of short stories about the members of a small town in Maine. Olive Kitteridge is a retired math teacher and a long-time resident of the town. Often stubborn, abrasive and contrary, Olive is a complicated, interesting character. She resists changes in her familiar town and finds people around her to be irritating and perplexing. A few of the stories focus on her, but the majority are about other personalities in the town, including people close to her, like her husband, Henry, and alienated son, Chris. Others are about people completely unrelated, like Angela O’Meara, the aging piano player in the local cocktail lounge and Julie Harwood, a broken-hearted, jilted bride. But each story connects to Olive in some way, effectively fastening the life of every member of Crosby, Maine to each other, however tenuously, with Olive serving as the narrative fulcrum. The stories span a period of many years and as the town and people change, Olive recognizes changes within herself and even learns to be (a little) more understanding and compassionate. I think the writing in this book is some of the very best I’ve read. Elizabeth Strout has an absolutely amazing talent for writing descriptive, intuitive prose without it being at all cumbersome. She is able to capture familiar, human moments within her characters so that the reader is able to recognize them as thoughts or experiences they’ve had themselves. The result is that each character and experience, though completely new to the reader, are immediately familiar and identifiable. She puts into words with enviable effortlessness those thoughts and feelings that make us all human. 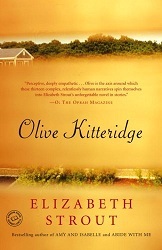 The Random House Reader’s Circle trade paperback version of the book includes a really charming interview with Elizabeth Strout and Olive Kitteridge that simultaneously demonstrates Strout’s gentle modesty for her work as well as her ability to write a character as irascible as Olive Kitteridge. I honestly cannot think of a single negative thing to say about this book. It was an absolute pleasure to read and I am definitely looking forward to reading Strout’s previous bestselling novels Amy and Isabelle and Abide With Me. 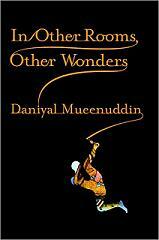 In Other Rooms, Other Wonders, is a collection of short stories set in Pakistan during the 1970s through the present. The stories are tangentially related; the main character of one story may be mentioned in passing in the next story. The result is that each story can stand on its own, but gradually a larger picture is formed. The primary focus of the complete story is the disparity within the Pakistani feudal system and how it has both changed in recent times, but doggedly retained its grip on the country’s society despite a slow modernist transition. Also addressed is the simultaneous power and impotence of the Pakistani female. Because the book is broken into separate tales, the author is able to offer points of view from various members of society, from powerful landlords to poor serving girls and even introduces an American character later on in the book which offers a remarkable contrast and familiarity for western readers. The book is beautifully written. It is poetic and lyrical without being cumbersome. There is a simple truthfulness in the style that made me immediately feel as if I were reading a fable; something old and filled with truthful wisdom. His descriptions are elegant, but restrained, and portray a country and its people with quiet, beautiful realism. Although the majority of these stories do not have typical happy endings, they are still a pleasure to read. The author has a real knack for creating immediately sympathetic and believable characters. In Other Rooms, Other Wonders won the 2009 National Book Award. This is Daniyal Mueenuddin’s first book, though his stories have appeared in The New Yorker, Granta, Zoetrope and The Best American Short Stories 2008. The blurb on the front of the trade paperback edition declares this novel is “Like Steel Magnolias set in Manhattan.” As one might expect from a book earning such a description, there is a plethora of interesting, complex female characters leading complicated lives: Georgia is a single mother, raising a pre-teen daughter and running a small knitting shop. Anita is a matronly aging widow who is reluctantly falling in love again after 20 years. Lucie is a struggling filmmaker who decides to become pregnant on her own despite financial insecurity. KC is Georgia’s boisterous ex-boss who decides on a risky career change while in her 40s. Darwin is a socially awkward graduate student who really just wants a friend, and Cat is Georgia’s traitorous ex-best friend from high school who makes a surprise re-entrance into Georgia’s life at an inopportune time. Throw in a few peripheral male love interests and a heart-wrenching climax and the chick book recipe is complete! This book is just begging to be made into a movie and I wouldn’t be surprised to find out that negotiations are already underway. The plot and characters in this book are adequate — mildly entertaining — interesting enough to keep reading but nothing extraordinary. 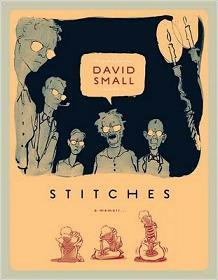 The thing that makes this book stand out is the knitting theme which serves as a frame for the plot. The women in the novel are brought together by their interest in knitting and decide to meet every Friday night at Georgia’s shop for knitting help, homemade food and companionship. The book itself is also brought together in segments prefaced by descriptions of knitting techniques and each process is analyzed in a way as to make it relevant to everyday life. The most significant thing I took away from this book is a strong desire to learn how to knit! The book is very reflective in nature, sometimes in the thoughts of one of the characters, at other times sentimental musings and observations of the narrator that occasionally felt like fluff. There was one such passage though that really surprised me in its insightfulness regarding the friendship between a mother and her grown daughter. I suspect that other readers may be inspired by some of the other reflections, depending on what is relevant in their own lives. This is Kate Jacob’s first novel. The Friday Night Knitting Club is available at noteBooks in trade paperback for $14.00.